These top-of-the-line Quiet Iron dumbells are encased in a rubber designed to dramatically reduce noise and odor as well as prevent floor and equipment damage. Our rubber encased TROY pro style dumbbells are all pre-assembled to ensure that they meet the standards required in heavy used commercial applications. All of our pro style dumbbells use solid steel bolt design; bigger, longer and stronger than the competition. These dumbbells consist of straight handles that feature special deep set knurling for functional performance and our top of the line TROY rubber encased plates. The rubber end caps include the TROY name and numbers for easy identification.Our rubber encased TROY pro style dumbbells are all pre-assembled to ensure that they meet the standards required in heavy used commercial applications. All of our pro style dumbbells use solid steel bolt design; bigger, longer and stronger than the competition. These dumbbells consist of straight handles that feature special deep set knurling for functional performance and our top of the line TROY rubber encased plates. The rubber end caps include the TROY name and numbers for easy identification. The Troy Pro Style Rubber Dumbbells Set 55-100lb with Straight Handles RUFD-R commercial dumbbells are assembled at the Troy factory to ensure each dumbbell meets the high standards needed in commercial fitness applications. 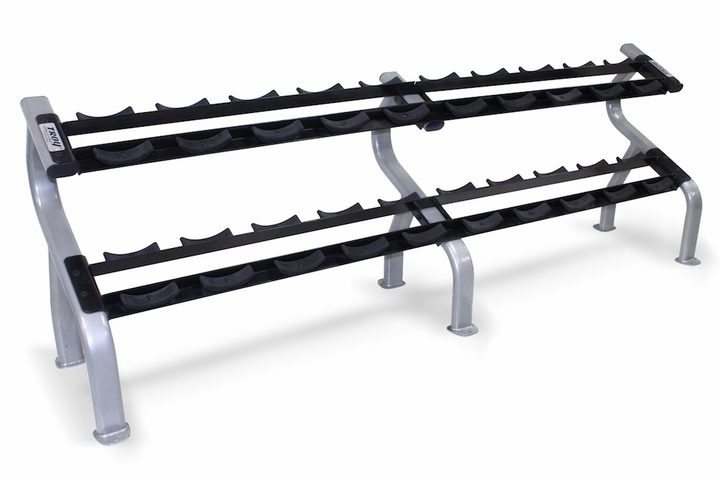 They use a solid steel bolt design that is bigger and stronger than many competitor brands. Pro style dumbbells offer a modular design. With solid style dumbbells, if a dumbbell head comes loose or if a handle is bent, the entire dumbbell needs to be replaced. With pro style dumbbells, cost of repairs becomes much less with the ability to buy just the replace the damaged parts of the dumbbell that are needed. 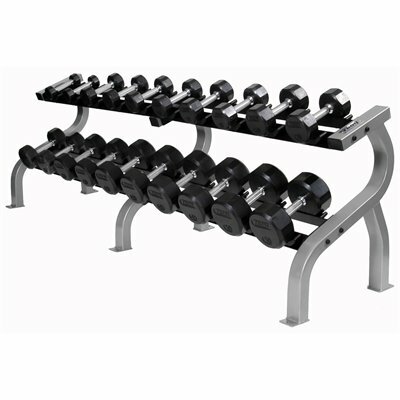 Due to their modular design and commercial grade construction, Troy Pro Style Rubber Dumbbells Set 55-100lb with Straight Handles RUFD-R are ideal for schools, colleges, training studios, hotels, military gyms, commercial fitness centers and much more. Call 1-800-875-9145 to speak with one of our fitness advisors with any questions you may have about the Troy Pro Style Rubber Dumbbells Set 55-100lb with Straight Handles RUFD-R. Order your Troy Pro Style Rubber Dumbbells Set 55-100lb with Straight Handles RUFD-R from FitnessZone.com today! 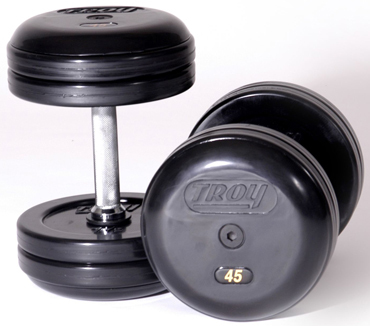 Order your Troy Pro-Style Rubber Dumbbells Set 5-100lb with Straight Handles RUFD-R from FitnessZone.com today!